The 2nd Battalion was part of the 1st Parachute Brigade, the first of the many parachute troops in the British Army. In 1941 the first 3 battalions of parachute soldiers were formed into the 1st Parachute Brigade. 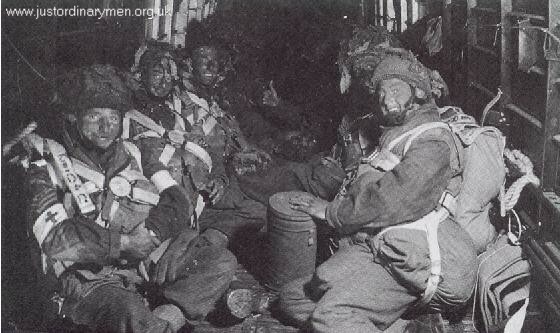 This consisted of 1st, 2nd, and 3rd Battalion of the Parachute regiment, an all volunteer force. Each battalion was a self contained force with 3 rifle companies, a support company, and a headquarters company. The rifle company was further broken down into 3 rifle platoons and an HQ platoon, numbering approximately125 officers and men. The 2nd Battalion undertook it's first major action in 1942. 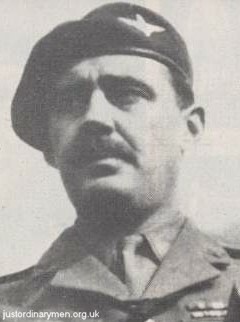 Commanded by Major John Frost, the men of "C" Company parachuted in to capture the key elements of the German radar station at Bruneval . The raid went well and the Royal Navy picked up the men on the beach. All came home to a hero's welcome. The next was to be a Brigade assignment in Tunisia. With all three Battalions being parachuted in ahead of the advancing 1st Army. This did not succeed as planned, with the drop widely scattered, the Parachute Battalions were, for the time, left to fend for themselves. The 2nd Battalion actually force marched over 60 miles to regain the front lines after destroying an airfield and skirmishing with German armour most of the way. When the Allies invaded Sicily. The 1st Parachute Brigade , in conjunction with the 1st Airlanding ( glider troops) Brigade, took part in operation Fustian-Marston to capture bridges over various rivers to facilitate the 8th Army drive onto the Catania Plain. The overall operation was considered successful, but once again, trigger happy anti-aircraft gunners managed to cause disbursement and casualties in the Airborne Forces . Despite the chaos, the 1st Brigade was able to hold Primsole Bridge until the relieving column of the 8th Army arrived. 6th June 1944. D-Day and the opening of the second front. As the Allies landed in Normandy three Airborne Divisions paved the way for the assault forces of the US 101st and 82nd on the western flank and the newly formed British 6th on the eastern side. 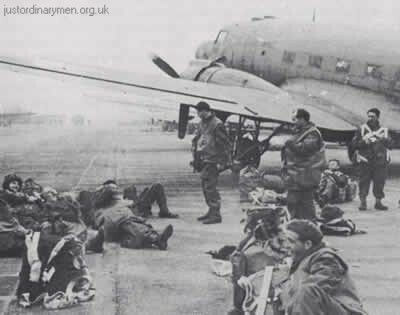 The 1st Airborne Division was held in reserve for use in the follow up to the invasion but abortive plan followed abortive plan. The Allied armies seeming all too quickly to overrun the planned landings sites. The chase was on. Through France and Belgium the armies dashed, routing shattered Whermacht Divisions until they paused on the Dutch border where upon a plan was formed. Namely Operation Market-Garden. 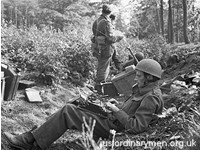 On 17th September 1944; the 1st Airborne Division, along with the two US Divisions, were dropped along the length of Holland to seize the roads and bridges to allow 30 Corps to outflank the Siegfried Line. The 1st Parachute Brigade was charged with the capture of Arnhem Bridge and two other minor bridges, using three separate routes of advance. The 1st Battalion on the northern "Leopard" route, the 3rd Battalion on the centre "Tiger" route and the 2nd Battalion on the river road "Lion". With the 1st & 3rd Battalions bogged down in heavy fighting, the 2nd Battalion , moving along the quiet river road, was able to reach the vital span during the evening of the 17th. 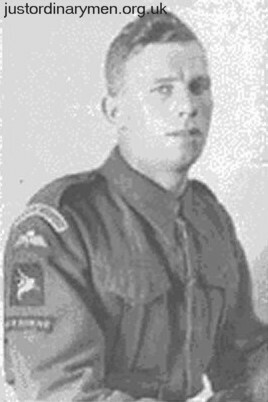 "A" Company of the 2nd Battalion were able to capture and hold the northern end of Arnhem Bridge, holding on until "B" Company, an Anti-Tank battery, and some Royal Engineers along with other assorted elements of the Brigade Headquarters (including "C" Company 3rd Battalion) arrived during the night. It was here that the 2nd Battalion would go into history. Holding on to a handful of buildings for four days. No more than 600-700 men held back elements of an entire SS Panzer Division; denying them the vital span and almost succeeding in accomplishing the task set for an entire division! There were few survivors of this epic battle. There was no surrender. Just small groups of men, out of ammunition, trying to break out and seek their way back to the remainder of the Division. 30 Corps never made the link up that had been expected and in the early morning darkness of 26th September 1944 the remainder of the once proud Division was evacuated across the Rhine. 10,005 men landed on the 17th. Only 2,163 returned!